Simon Callow returns to the Arts Theatre this Christmas in his acclaimed one-man production of Charles Dickens’ A Christmas Carol. Simon Callow brings his acclaimed one-man production of Charles Dickens’ A Christmas Carol to the Arts Theatre this Christmas for its fourth West End season from 8 December 2018 – 12 January 2019. Tickets are on sale now. 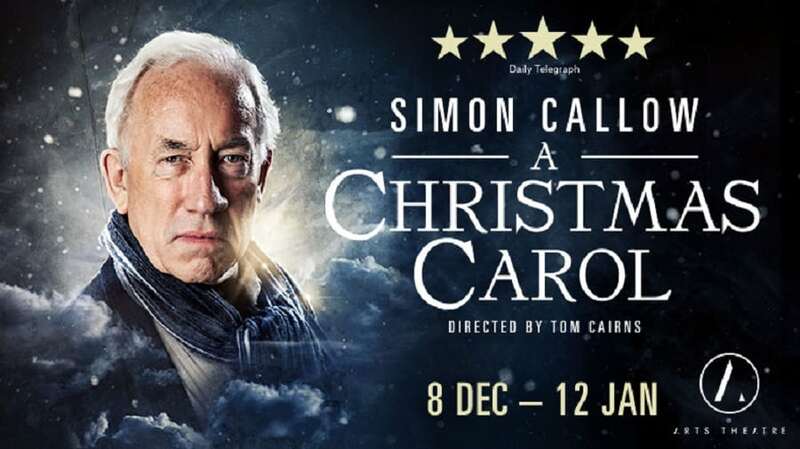 Simon Callow and director-designer Tom Cairns have created this one man festive treat based on Dickens’ own performance of the novel. Simon Callow is no stranger to playing Charles Dickens. His previous performances as the author include the stage productions The Mystery of Charles Dickens at the Playhouse Theatre, Dr Marigold & Mr Chops at Riverside Studios, the film Hans Christian Andersen: My Life as a Fairytale, on television in the BBC’s An Audience with Charles Dickens, and Doctor Who in 2005 and 2011. Callow has even written two books about the author, Dickens’ Christmas in 2003 and Charles Dickens and the Great Theatre of the World in 2012. Originally published in 1843, A Christmas Carol has never been out of print. Within a few months of publication, no fewer than eight stage productions were mounted. Dickens used A Christmas Carol as the work he performed at his first public reading in 1853, but also at his farewell performance in 1869. A Christmas Carol is produced by Assembly Festival and Riverside Studios, directed and designed by Tom Cairns, with sound design by Ben and Max Ringham.